Published today! – Joyce's mystery and fiction book reviews with some non-fiction too! This is Flynn Berry’s second novel; it follows Under the Harrow. 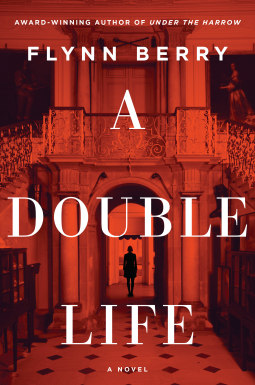 A Double Life is inspired by a true murder that was reportedly committed by Lord Lucan. Lord Lucan supposedly murdered his children’s nanny after he mistook the nanny for his wife. Lord Lucan was never seen again and nothing is definitvely known about what happened to him. Lord Lucan’s wife died only recently, never saying anything more. In this novel, Flynn Berry imagines what might have happened. She tells her story largely through the eyes of the daughter, imagining what life was like for her, her mother and her brother following the horrific murder. Flashbacks about the relationship of the protagonist’s parents and their friends add to the seeming veracity of the story. I found this book to be a page turner and finished it within a few days. There were some plot twists and some food for thought once the full story was told. Anyone out there who reads this, I will be interested in your take on the ending. Note this is a fictional account and does not in all respects follow what happened to the family. Thanks for this excellent read NetGalley and the publisher! Kudos to Quarto publishers and the author for another informative, appealing and enjoyable entry in the Little People, Big Dreams series. 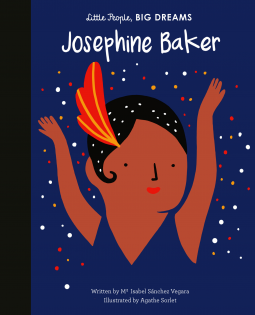 This time it is the story of Josephine Baker, a dancer and entertainer, who moved far from her segregated hometown to find renown in Paris and beyond. I discovered things that I did not know about Ms. Baker in this short book. While I knew about her performances and the large family that she created through adoption, I just now learned that she helped the French Resistance during WWII and was active in the Civil Rights movement. This book will appeal to both children with dreams and the adults who encourage them. As always, the illustrations add to the appeal of the book.